There are many types of Craigslist scams. You can learn to avoid the most common ones easily. That’s what you’re going to get to know more about here and that way you always are safe and know what you’re getting into. Always make someone meet you in public so that you can make sure that you don’t get robbed or hurt. People sometimes ask you to come to their home or let them know where you live. You should conduct business in a local parking lot where there are a lot of other people around. Or, find a place you can meet where there are cameras like at the mall. It should also be in an area that’s well lit. If they don’t want to meet on your terms then there is something wrong and you should avoid that person. There may be emails sent to you that are scams from people. Before you trust any kind of a deal that someone emails you about, look up a sentence or two of the email on Google. You may find that a lot of people get that same email, and they may warn you of a scam. There are no get rich quick schemes that work, so don’t trust people if they are trying to give you that kind of message. Things like offers to buy homes or to employ you may also be scams, so look into everything before you answer it. Don’t buy items without testing them in front of the person that’s selling them to you. If you’re trying to buy a vehicle from someone, it’s sometimes a good idea to bring a mechanic or someone that’s good with cars with you. 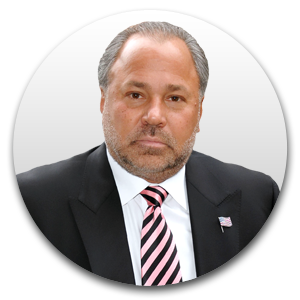 The goal is to always know that what you are getting is going to work because you don’t want to have to try to get your money back from a seller. 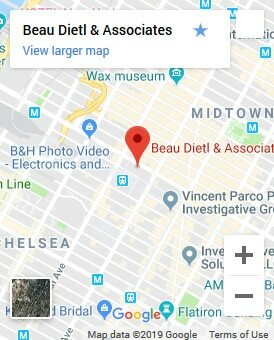 They may not answer emails or their phone after you are sold something, and if you didn’t get a receipt or paperwork saying returns are accepted they don’t really have to work with you after the initial transaction. 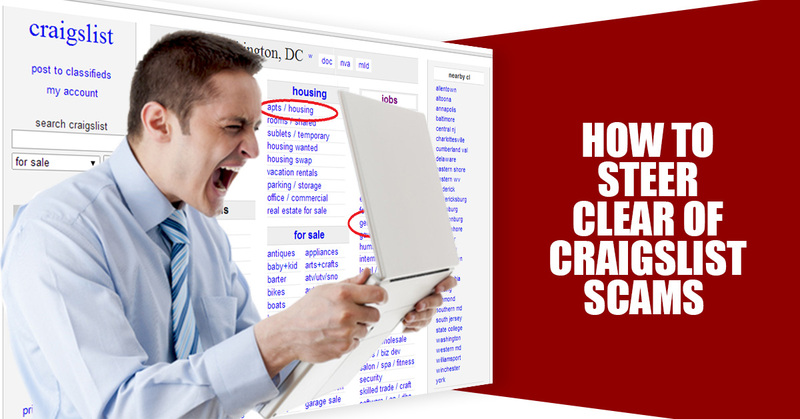 Don’t fall victim to a Craigslist scam if you don’t have to. Always follow the tips you were told about here for safety. There will always be people trying to take advantage of others, so you have to be careful and make sure that everything you do is calculated to minimize risk. 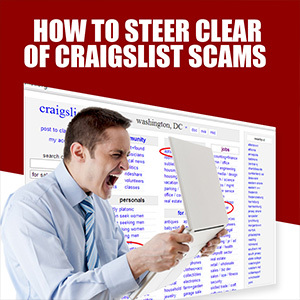 How-To-Steer-Clear-Of-Craigslist-Scams There are many types of Craigslist scams. You can learn to avoid the most common ones easily. That's what you're going to get to know more about here and that way you always are safe and know what you're getting into. MEET IN PUBLIC Always make someone meet you in public so that you can make sure that you don't get robbed or hurt. People sometimes ask you to come to their home or let them know where you live. You should conduct business in a local parking lot where there are a lot of other people around. Or, find a place you can meet where there are cameras like at the mall. It should also be in an area that's well lit. If they don't want to meet on your terms then there is something wrong and you should avoid that person. BEWARE OF EMAIL SCAMS There may be emails sent to you that are scams from people. Before you trust any kind of a deal that someone emails you about, look up a sentence or two of the email on Google. You may find that a lot of people get that same email, and they may warn you of a scam. There are no get rich quick schemes that work, so don't trust people if they are trying to give you that kind of message. Things like offers to buy homes or to employ you may also be scams, so look into everything before you answer it. TRY BEFORE YOU BUY Don't buy items without testing them in front of the person that's selling them to you. If you're trying to buy a vehicle from someone, it's sometimes a good idea to bring a mechanic or someone that's good with cars with you. The goal is to always know that what you are getting is going to work because you don't want to have to try to get your money back from a seller. They may not answer emails or their phone after you are sold something, and if you didn't get a receipt or paperwork saying returns are accepted they don't really have to work with you after the initial transaction. Don't fall victim to a Craigslist scam if you don't have to. Always follow the tips you were told about here for safety. There will always be people trying to take advantage of others, so you have to be careful and make sure that everything you do is calculated to minimize risk.